El Tapatio Mexican Resturant in Durant serves authentic Mexican food and some of the best fajitas around, served with sauteed onions, bell peppers, tomatoes, guacamole, sour cream and pico de gallo. Try the Pollo Loco for two chicken breasts prepared with herbs and spices topped with grilled onions and cheese sauce, or order the Nachos Jalisco for cheese nachos topped with marinated tender strips of chicken, beef and shrimp cooked with onions and peppers. Other specialties include tacos, enchiladas, chalupas, chile rellenos, burritos, Mexican rice, tostadas, quesadillas and more. 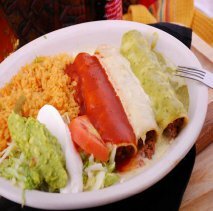 El Tapatio offers a wide variety of Mexican specials and combination platters. Vegetarian dinners, seafood selections and a la carte items are also available. 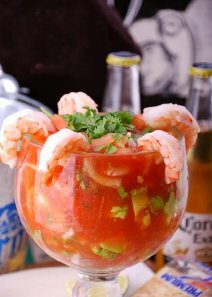 Don't forget a margarita with traditional lime or strawberry and pina colada.